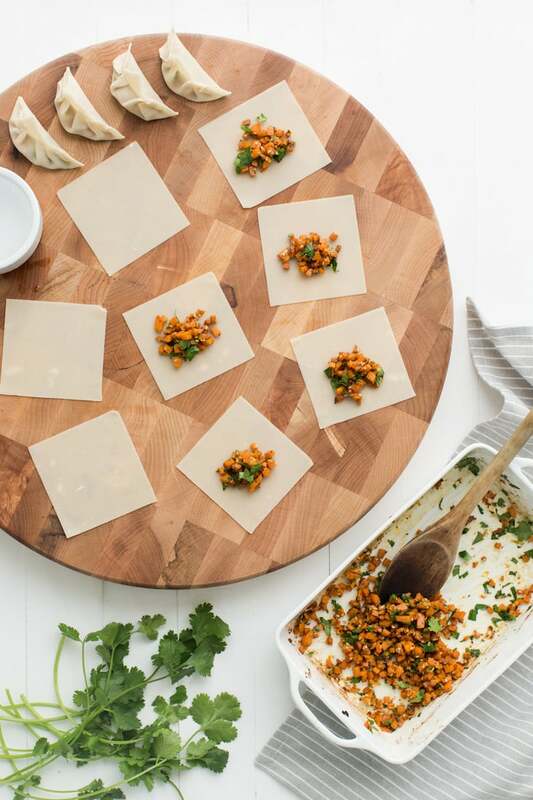 Sweet Potato Potstickers | Naturally. Preheat oven to 425˚. Toss the cubed sweet potatoes with olive oil and black pepper. Make sure your cubes are all roughly 1/4″- anything bigger and it will feel bulky to wrap. Roast for 15 minutes. Remove sweet potatoes from oven and stir in the ginger, garlic, soy sauce, and sesame seeds. Return the pan to the oven and roast for another 10 to 15 minutes until sweet potatoes are starting to brown. Remove from oven and let cool slightly, then stir in cilantro. Set up an assembling station with a small bowl of water, filling, and wrappers. Working with one skin at a time, place about 1 tablespoon of filling in the middle. Dip your finger in the water and run it along the entire edge of the wrapper. Fold both ends up (or corners if you are using square wrappers) and lightly pinch. Working with one side, pleat and pinch together making sure that once pleated, the potsticker is sealed. Repeat with remaining filling. 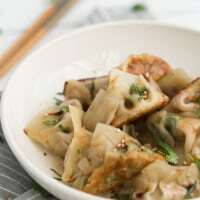 For cooking potstickers, heat a tablespoon of olive oil over medium heat in a medium sized pan. Working quickly, place potstickers in pan so that no potsticker is touching. Cook for 1- 1½ minutes until bottom is browned. Pour in ¼ cup of water, place a tight fitting lid on the pan, and continue to cook for another 3-4 minutes or until the wrappers are tender. I often double or triple this recipe and freeze a good portion to eat throughout the month. Delicious! Definitely love that the filling isn’t mashed together. Mmm mmm. Love the idea of a ‘me’ evening! You are so wise to soak in that peace and quiet right now. 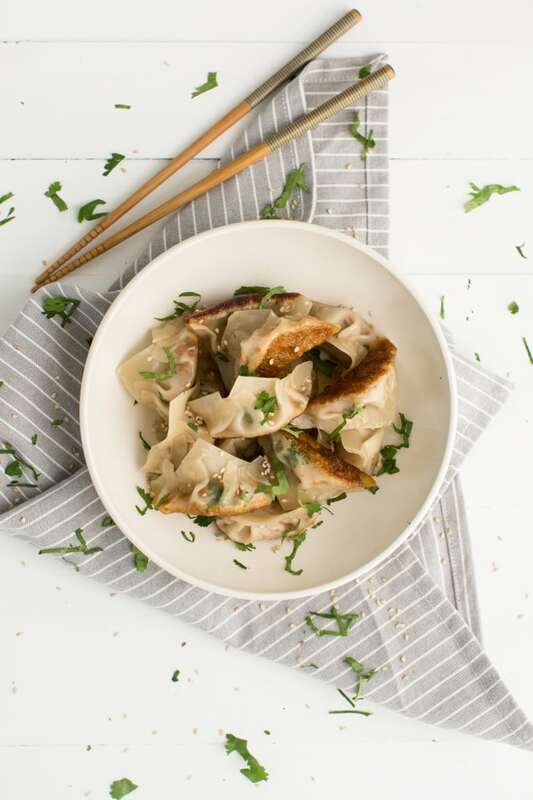 Beautiful potstickers. I find the whole process of assembling them to be therapeutic and I love making huge batches to freeze. i make dumplings occasionally at home but never with sweet potatoes. I am going to try this soon. These look and sound absolutely amazing, and actually, based on the ingredients and recipe, it’s not too hard to make! Looking forward to testing this recipe out either this week or next for dinner. The greatest thing too is like you said, freezing them and eating the rest later 🙂 That would be perfect for taking some frozen ones to work and making a healthy lunch during the lunch break! Looks delicious! May I ask where you found those cute chopsticks? 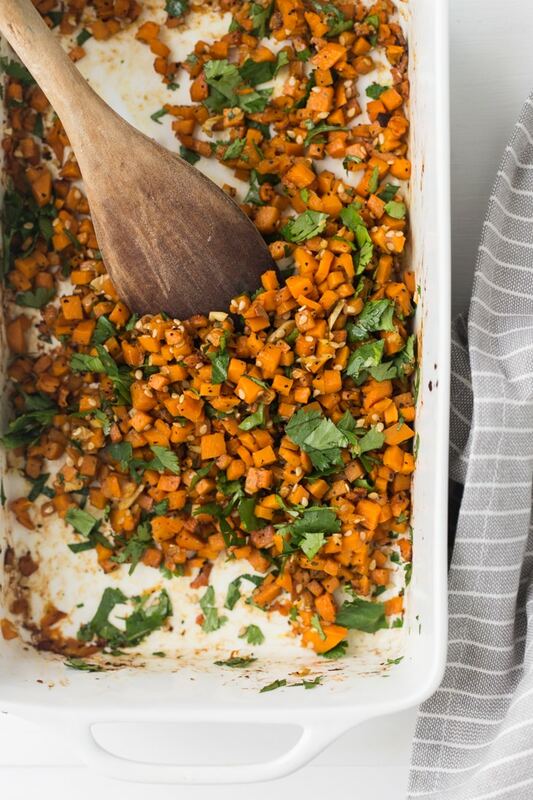 Sweet Potatoes, so delicious and something I’ve been craving lately. These sound great. That sounds like a perfect way to spend your evening! I like the crispy bottoms of these pot stickers! Yum! This sounds delicious and like something the whole family would enjoy! 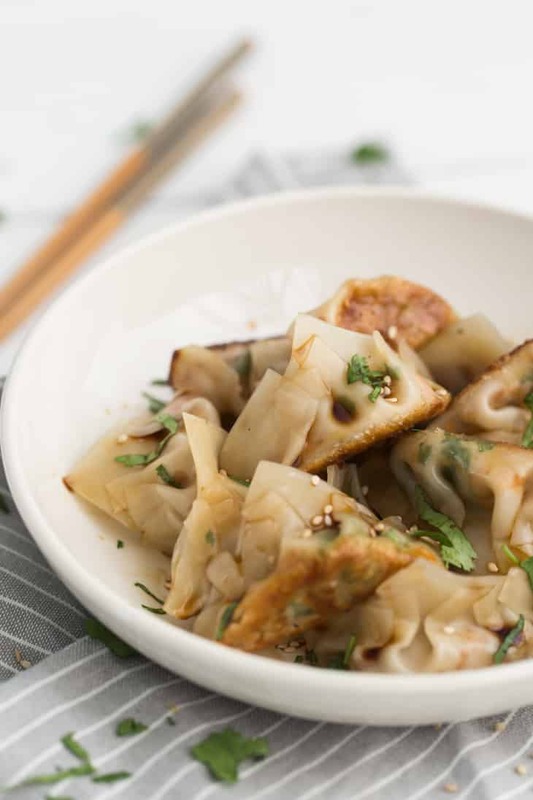 Are potsticker wrappers the same as wonton wrappers?